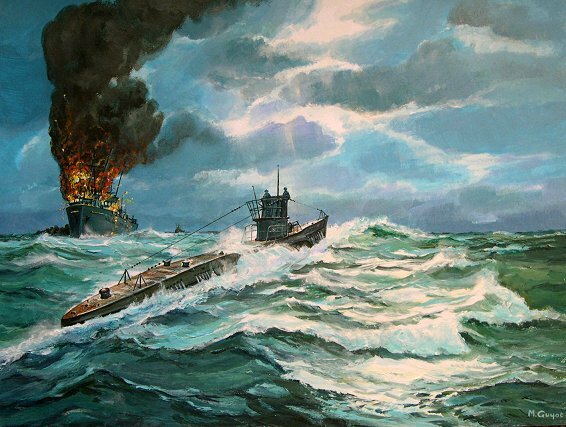 U-99, a Type VIIB U-boat commanded by Otto Kretschmer, sank 44 ships before being sunk by the British destroyer "HMS Walker"on 17 March 1941. Three of the crew were killed during the attack, the rest were taken prisoner. The celebrated Kretschmer was known as the "tonnage king" as he sank more tons of shipping than any other WW2 commander.